The FA Cup 6th Round often serves up some of the competitions greatest moments and some of my abiding memories of bygone years come from the Quarter Final stage. With Wigan visiting Goodison on Saturday lunchtime, we continue our build up with a look back at some classic matches. Today we go back to 1985 and Everton, looking to defend the cup they had won the previous May, were given a home tie against Ipswich. 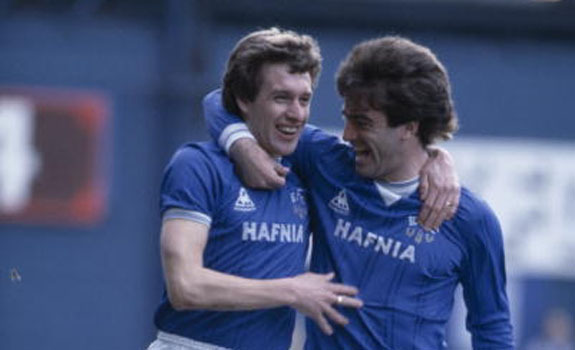 Although the Suffolk side were a lot stronger in the 80’s than they are today, Everton were strong favorites, as they looked to home in on a famous treble. An early strike from that game lives long in the memory. In the opening stages of the game, Everton were awarded a free kick on the edge of the penalty area. Everton’s free kick specialist Kevin Sheedy stepped up to assume his usual duties . The Irish international had a wand of a left foot and quickly took the free kick, bending the ball, past the wall and into the top left hand corner of the Park End goal. Much to the dismay of the watching Evertonians, the referee order a retake, claiming Sheedy had taken the free kick before the whistle had been blown. Undeterred, Sheedy reset himself and this time expertly fired the ball round the wall and into the other top corner of the net. Simply outstanding. From that moment on, Everton however failed to capitalize on their advantage and as time ticked away, Ipswich looked set to progress after taking a 2-1 lead. Step up Derek Mountfield, who had been pushed forward into an advanced position as Everton chased the game. A hopeful ball into the box from Paul Bracewell was pounced upon by Mountfield, who slid in before the keeper to poke Everton level. Everton went onto secure progress to the Semi Final with a 1-0 win in the replay. Graeme Sharp scoring a hotly contested penalty to set up a tie with Luton Town. Next Post Time for Rooney to come home?